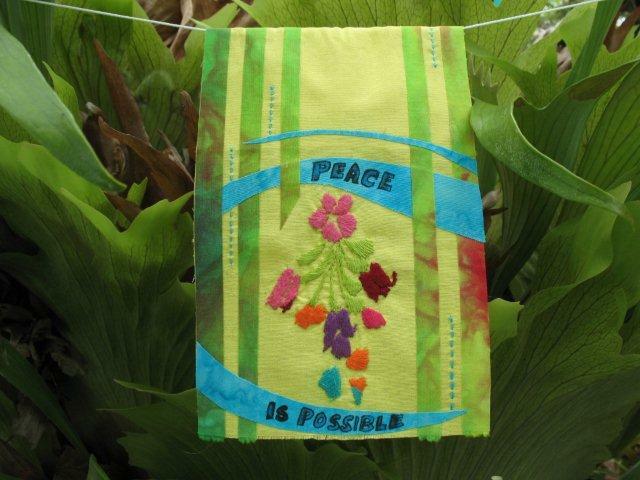 Answering the question, is peace possible? Yes, peace is possible. Stop, breathe, listen, and you will find it within yourself. Photos are in from Cheryl Razmus of her fabulous flag! Her words "Only one world. Only one cloth. 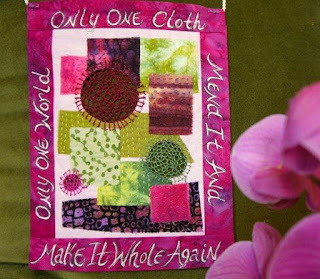 Mend it and make it whole again" work beautifully with how she embellished image details on the cloth. She told me she had a great time with the process. Thank you so much, Cheryl, for sharing your creative vision with us and the Bhavana Project! 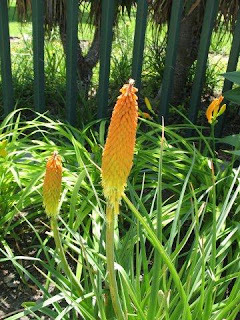 Take a look at Cheryl's blog to see more of her fine work. 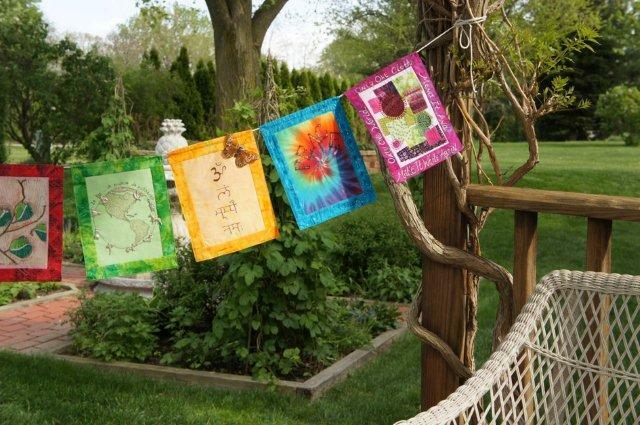 Many of you know that I contribute to another project, The Prayer Flag Project. Today Jamie Fingal has added some flags that speak of grief over the loss of her parents. I encourage you to visit that site, there are some amazing contributions. I have sent flags on to Cheryl Razmus. Cheryl, a retired teacher and artist living near Chicago, and I have been online friends. We connected during one of Jane LaFazio's superb online sketch classes, which I highly recommend. Looking forward to seeing what wonders Cheryl will create on the flag! 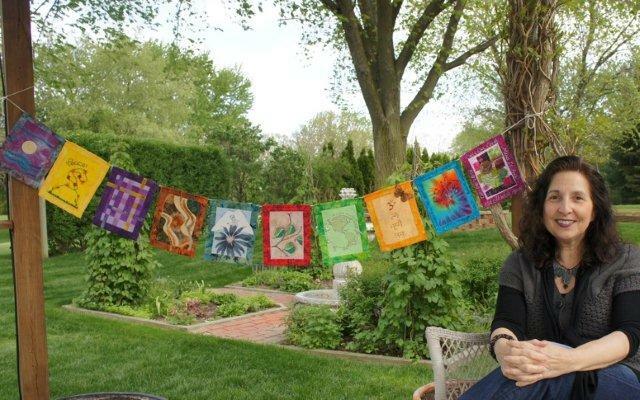 An interesting side note, Jane is now managing The Prayer Flag Project blog in place of Vivika DeNegre. As you know, I also contribute to this project. Love all the flag connections! 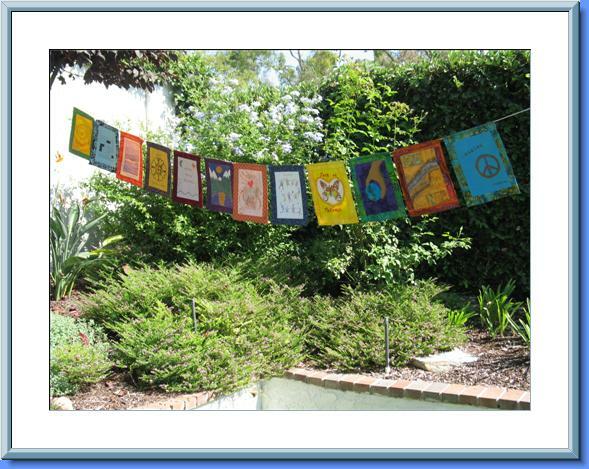 While we wait, here are photos from flag #12 of the prayer flag set that completed in 2008. 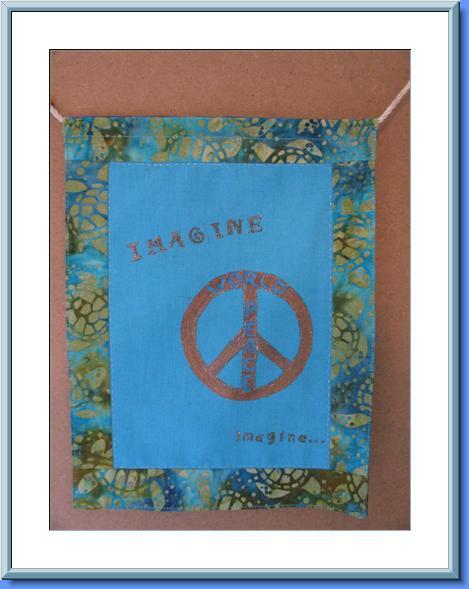 Jeannie Matthewson's "Peace" image (along with Debby Everett's flag) became the inspiration for the current set. The first two sets had no overall theme, each person was free to choose. It seemed a good time to try something new with the start of the third set in 2009, thus Reflections on Peace came into being.